There are two primary types of financial leadership within top organizations: the CFO and the controller. Many growing organizations do not have a clear understanding of the two positions, often overlooking the value that a CFO could bring to their business. To determine what level of financial leadership an organization requires in a CFO vs. controller discussion, it is first important to decipher the differences between the two roles, their duties and their skill sets. The controller is often thought of as the head of the accounting department, although this role shouldn’t be confused with that of a bookkeeper. The primary function of the controller is to maintain and operate the books and records of the business, looking back at data already generated. Under the guidance of the CFO, a controller also maintains standard operating procedures for all accounting and bookkeeping functions. The CFO is the financial leader of an organization, overseeing accounting, finance, payroll and tax departments. While the primary function is to look ahead, the CFO must also be able to understand past financial performance in order to accurately predict the organization’s financial future. There is a significant difference between the strategic and tactical value that CFOs brings to the executive leadership teams of their respective organizations, and that of controllers. For example, the controller’s role is to provide financial statements and gross profit statements showing a 5% decline in the company’s quarterly revenue. The CFO’s role is to evaluate and explain the causes behind the decline; they look beyond the numbers to see root cause, as well as the corrective actions needed. The CFO holds a variety of duties and skill sets, including cash management, budgeting, compliance, internal controls, corporate credit and collection, audit, financial planning and strategic planning. The CFO acts as a trusted advisor to the executive leadership team, working as a sounding board when key decisions are being discussed. 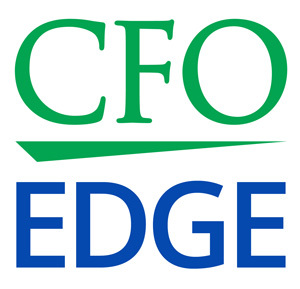 The most significant value provided by a CFO often centers around the area of financial oversight and management. Analysis of the reports provided by the controller enable the CFO to generate working capital and forecast information. Analyzing and reviewing monthly P&L statements, balance sheets and cash flows provides the information needed to drive toward data-based decisions. Ultimately, the CFO works to correlate operational and financial data provided by the finance department so that the executive team understands the financial impact of decisions in real-time. Growing businesses cannot often afford, or may simply not require, the services of a full-time CFO. Yet, they may be seeking the forward thinking skill sets that such professionals bring to the table. When deliberating CFO vs. controller, a non-traditional solution is a sound alternative: a part-time CFO or project CFO from a CFO services firm can often provide the needed financial expertise and direction at a fraction of the cost, creating affordable options for small and growing businesses. A former enterprise CFO who functions on an as-needed basis can become a trusted advisor to the CEO, offering key business, financial and operational insights needed to control direction of the organization.